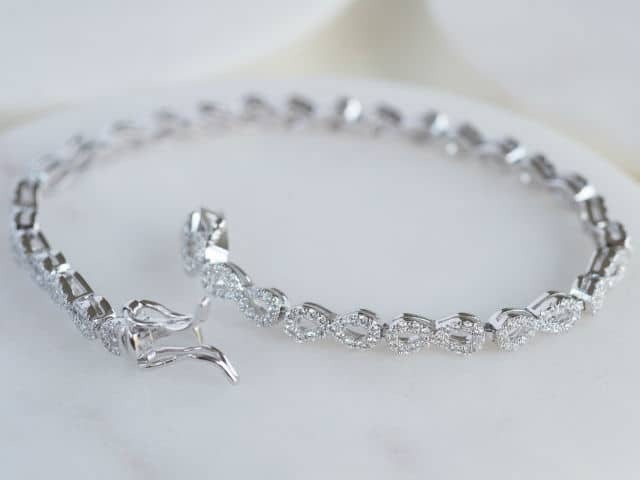 This stunning White Gold Infinity Necklace would make the perfect gift for a bride or bridesmaids on wedding day. It would also make a gorgeous gift for Valentine’s Day. 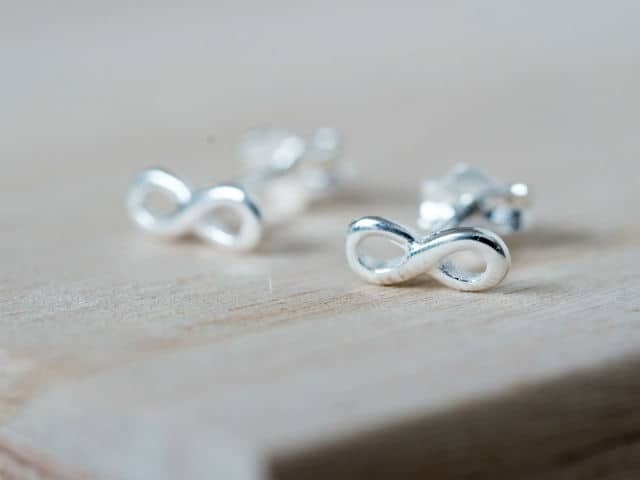 A beautiful white gold trace chain winds into a shimmering infinity shape; the perfect symbol for love. 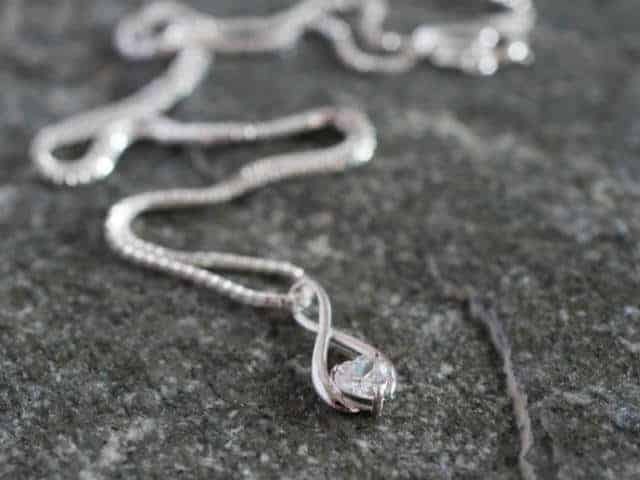 The infinity symbol then features a gorgeous cubic zirconia heart. It would complement the bride’s wedding dress perfectly. 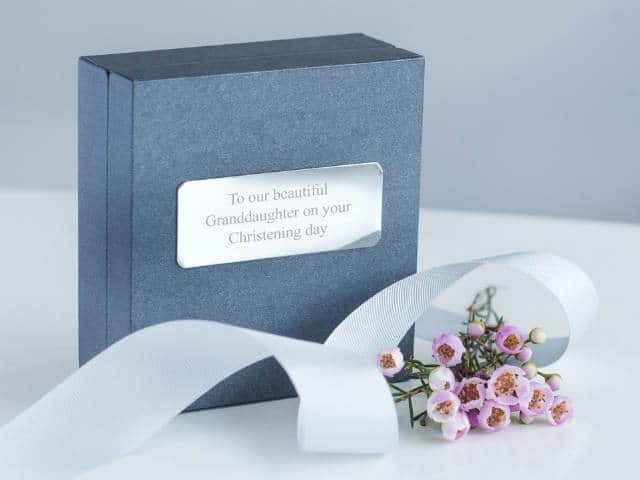 A personalised gift box with a plate engraved with up to 3 lines with 25 characters per line. 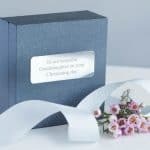 Please email orders@urbancuckoo.co.uk with your 3 x 25 character lines of text for the gift box.